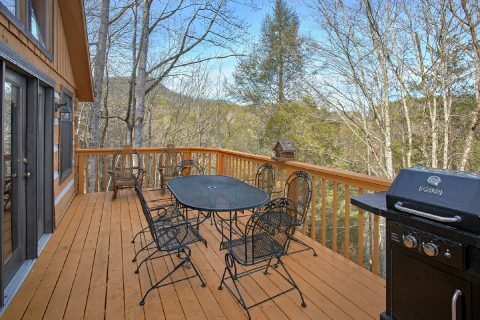 "Bella Casa" is a beautiful, 3-bedroom cabin rental in the Wears Valley area of the Smoky Mountains! This cabin provides guests with an excellent location that keeps them only 8 miles from the heart of Downtown Pigeon Forge, TN! 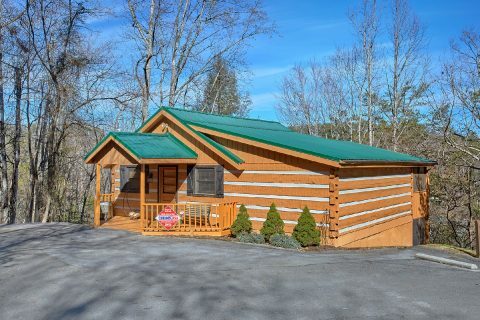 While this cabin keeps you close to great attractions like Dollywood and The Historic Old Mill, this cabin's beautiful location in the scenic Wears Valley area also ensures you'll enjoy plenty of peace and quiet during your stay. 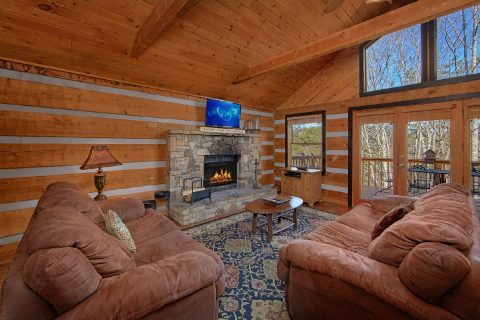 After a great day spent hiking in the national park or shopping in Gatlinburg, you'll love returning to this cozy cabin with excellent amenities. 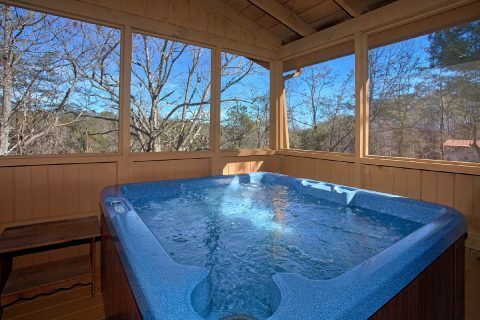 Step inside to the comfortable living room area that's complete with furnishings, a wood-burning fireplace, a 42" HDTV, and a boom box with a cd player. 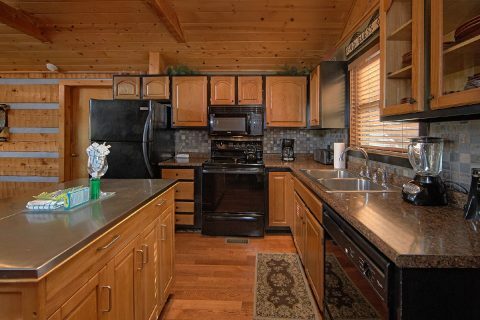 In the kitchen, you'll find everything you need to make delicious dinners on your Smoky Mountain vacation. Nearby, you can enjoy your meals at the table with 6 chairs and the breakfast bar with 2 stools. From this level, you can step outside to your cabin's deck where you can enjoy this location's lovely scenery. 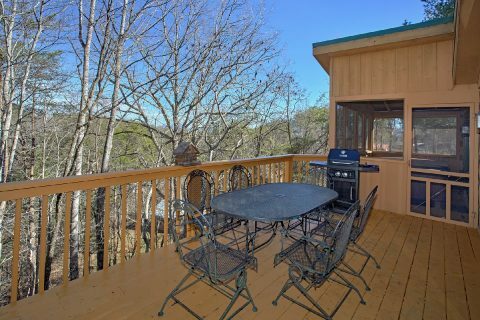 This deck also comes complete with a table and chairs for enjoying a morning cup of coffee in the great outdoors. 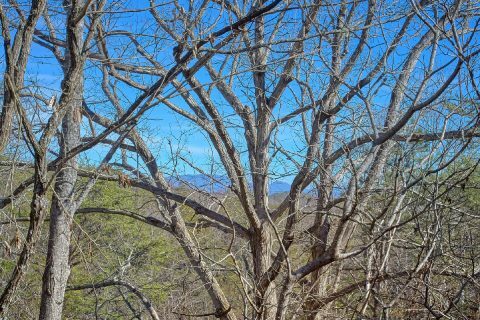 You can also enjoy the fresh mountain air from a rocking chair or from a screened-in porch that's furnished with a hot tub. 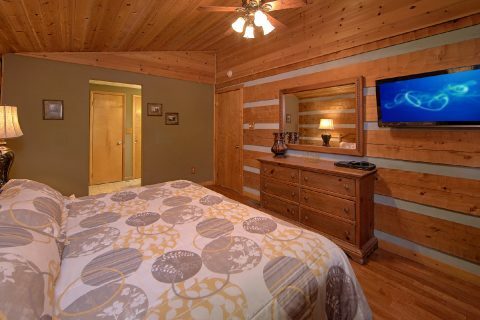 The main floor of your cabin is also home to a king-size bedroom complete with a king-size bed and a flat-screen television. 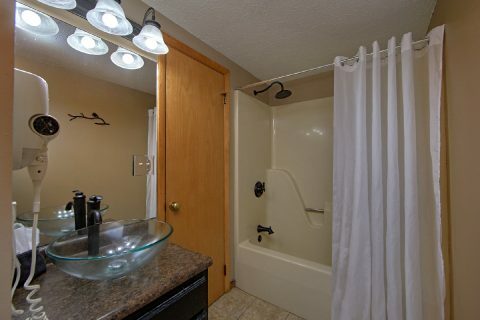 Downstairs, you'll find two more bedrooms. 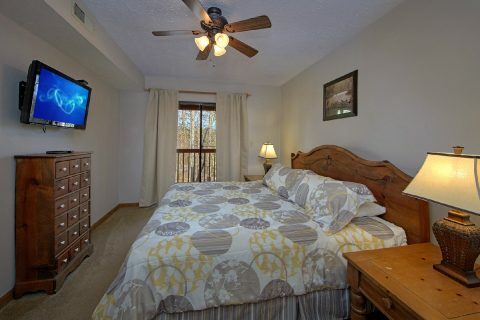 One room features 2-queen beds and a flat-screen television, while the other room provides a private king-size bed. 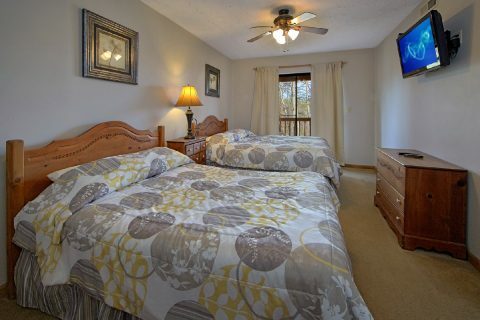 Both rooms offer access to a lower level deck. 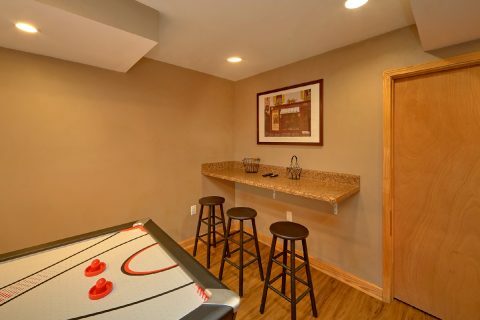 For some in-cabin entertainment, you can enjoy playing air hockey in this cabin's game room. 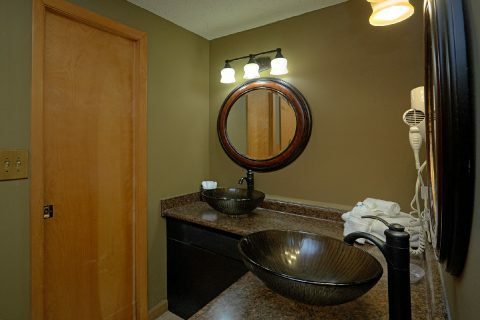 This room is also furnished with a 47" HDTV, surround sound, and a bar with stools. 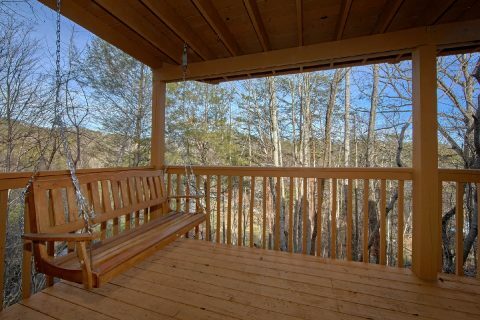 From here, you can step outside onto a lower deck with a porch swing. 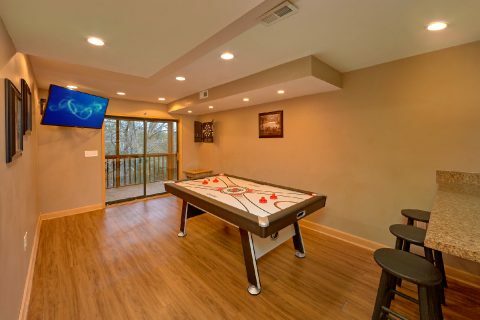 Altogether, this 3-bedroom Wears Valley cabin with an air hockey table sleeps up to 8 guests in comfort. 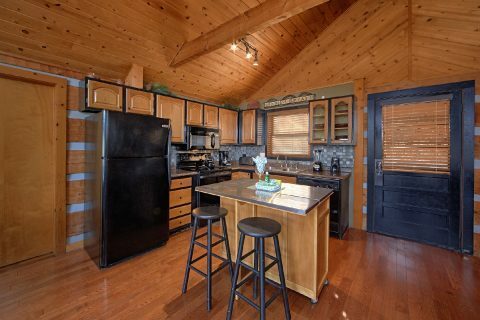 "Bella Casa" also offers some convenient features like a gas grill, a washer/dryer, WiFi Internet, and a parking area with room for two vehicles. 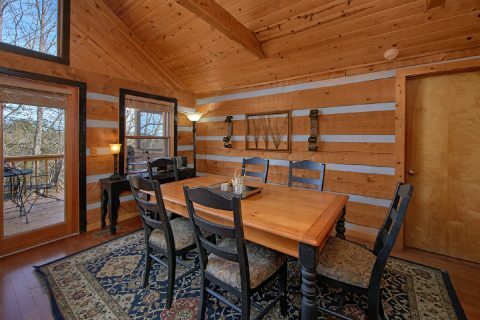 Book your Wears Valley cabin with ping pong today to save big on your Great Smoky Mountain vacation! 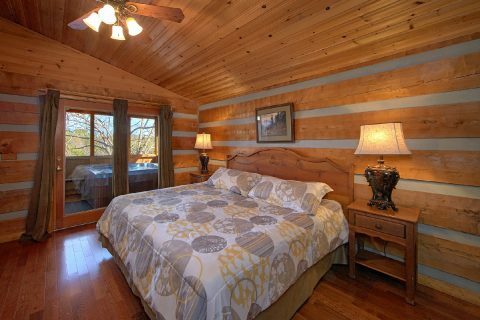 Simply book this cabin with Cabins USA to save 15% on your nightly rate!